In Sipple v. Connections Community Support Programs, Inc., the Delaware Superior Court rejected a breach of contract claim filed by a former prison inmate who claimed that he received substandard medical care while incarcerated, leading to a delayed diagnosis of colorectal cancer. The inmate’s theory was that he was an “intended third-party beneficiary” of a contract between the Delaware Department of Corrections and the State’s prison healthcare contractor Connections. Although the issue arose in the context of prison healthcare, the ruling potentially has important implications in other healthcare cases where the defendant-providers have contractual relationships. In Sipple, the plaintiff first filed a lawsuit alleging medical negligence against Connections. While that claim was pending, the plaintiff sought to add a companion breach of contract action arising from the same factual allegations. The breach of contract claim raised two primary concerns for the provider defendant: (1) the plaintiff was attempting to establish liability without having to show a breach in the standard of care or causation of the injury, as required in every medical negligence suit; and (2) the contract claim would open the door to wide-ranging discovery about the negotiation and implementation of the contract between Connections and the Delaware Department of Corrections, and much of that discovery would have nothing to do with the medical issues at the core of the case. Connections moved to dismiss the breach of contract claim, arguing that the Medical Negligence Act (18 Del. C. §6801, et seq.) restricts a plaintiff’s ability to bring a contract claim to a limited set of circumstances—specifically, where a written contract between the provider and patient promises a specific result. After a thorough analysis of the statutory scheme for medical negligence cases in Delaware and the law in other states where this issue has been raised, the Delaware Superior Court dismissed Sipple’s contract claim as a matter of law. 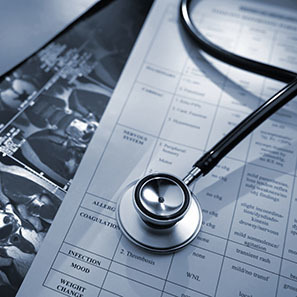 Medical malpractice cases in Delaware are governed by statute, rather than common law. The Medical Negligence Act broadly recognizes that claims can arise under tort or contract theories, but in the past Delaware courts have not closely examined the statute’s apparent limitation on contract liability to situations where there is a written contract between the patient and healthcare provider that expressly or impliedly assures the patient that the care will achieve a given result. The question before the court in Sipple was whether breach of contract claims in the context of medical malpractice should be expanded to contracts entered into by healthcare providers with entities other than the patient, but which were expressly intended to facilitate the patient’s care. In deciding not to expand medical malpractice claims in this way, the court observed that “The purpose of the Medical Negligence Act [passed in 1975] was… to limit or otherwise curtail—not expand—the ability of a patient to recover damages against healthcare providers.” The court drew this conclusion by looking to the Act’s preamble, which cited “tremendous” increases in the costs of litigation and liability insurance, as well as damage awards, as part of the reason for its enactment. The court acknowledged that part of the purpose of the Medical Negligence Act was to ensure that patients who sustain bodily injury or death as a result of substandard care receive fair and reasonable compensation, whether the injury arises from tort or breach of contract. So clearly, the court concluded, the Act did not mean to prohibit contract claims entirely. Nevertheless, the court rejected Sipple’s “third-party beneficiary” theory of contract liability, and found that doing so was consistent with the legislative goals of the Act. The court found support for this conclusion from the reasoning of courts in other states that have confronted the distinction between contract and tort liability in malpractice cases. For example, Nebraska has a nearly identical statute to Delaware’s Medical Negligence Act. Nebraska’s courts have decided that a person cannot “bootstrap” a contract claim to a negligence action unless there is a written contract between the patient and defendant-provider, expressly or impliedly assuring the patient that a procedure will obtain a given result. The court found the Nebraska court’s interpretation persuasive, and adopted its reasoning to construe Delaware’s statute in a similarly narrow fashion. The court was not persuaded by the plaintiff’s reliance on a Virginia case, which held a healthcare provider could be sued on a contract theory to provide medical care within the Commonwealth’s prisons. The court interpreted the Virginia court’s ruling in Ogunde v. Prison Health Services, Inc., (645 S.E.2d 520, Va. 2007), as based on a slightly different statutory scheme governing its medical malpractice cases. Additionally, the issue presented in that case was whether the contract conferred sovereign immunity on the healthcare provider, insulating it from liability—an issue not pertinent in Sipple. The Sipple decision is the first time a Delaware court has explicitly held that a person cannot “bootstrap” a contract claim from a medical negligence claim arising out of the same alleged injury. While the Act broadly addresses concepts of both tort and contract liability, Sipple stands for the proposition that plaintiffs cannot sue under a contract intended merely to facilitate their care and for the more expansive proposition that Delaware’s Medical Negligence Act does not allow for simultaneous contract and tort suits arising from the same alleged injury. The delivery of healthcare today involves a myriad of contracts, among institutions, provider groups and individual providers, most if not all of which help facilitate patient care, and so coincidentally, if not intentionally, benefit patients. In such an environment, the court’s rationale in Sipple has application well beyond the area of prison healthcare, to the extent that it limits the ability of aggrieved patients to use these contracts as a way to establish medical malpractice claims, or as a springboard for onerous discovery in order to force settlements of defensible claims. The Sipple decision is currently on appeal to the Delaware Supreme Court and should be closely watched by healthcare intuitions and providers in Delaware and beyond. John Balaguer and Kate Butler defend healthcare providers and institutions in medical negligence and other healthcare claims. Mr. Balaguer represents the defendant in this case and will be lead counsel for the Delaware Supreme Court appeal. If you have questions or would like additional information about this case or other issues of Delaware medical negligence law, please contact John Balaguer (balaguerj@whiteandwilliams.com; 302.467.4501) or Kate Butler (butlerk@whiteandwilliams.com; 302.467.4504).